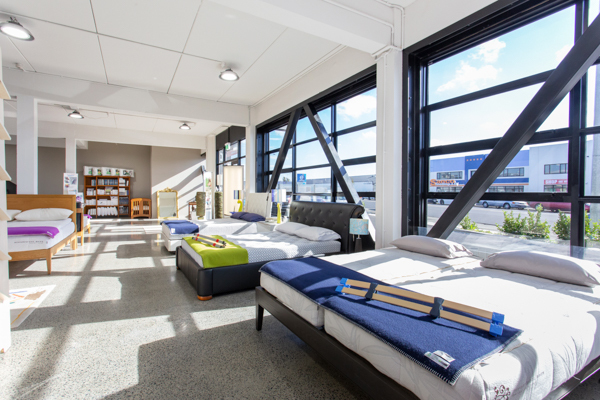 Dreamwool Beds has snuggled into its new sun-lit premises – a paradise for slumber, showcasing the innovative bespoke bedding that dreams are made of. The original company, Clegg Brothers, pioneered in 1934 from a Brighton garage, was ironically located across the road from the current premises 40 years ago. David’s father bought the business in 1974, renaming it around the millennium to reflect the transition from entry level to a top end wool-based product. David is hands-on in the new Sydenham showroom, where customers are also welcomed by Nicky, company ‘camp mother’. The European-aligned, custom-designed mattress and slat-bed system visually takes up less bedroom real estate. David likens bulky standard mattress and base systems to “a big chocolate sponge cake,” compared to a Dreamwool bed – “a piece of chocolate brownie”. It’s quality without the bulk – finer, lighter, but exceptionally comfortable and supportive. Dreamwool Beds is always improving on perfection. Merino wool will now be used, as well as an ingenious new outer-fabric. Algua was developed in Belgium by a professor from the Lab for Aquatic Biology when researching uses for algae. Microcapsules of spirulina are encapsulated in the top-fabric layer. Its energy-enhancing vapour containing 11 vitamins, 10 minerals and 18 amino acids is released, for the lifetime of the mattress and absorbed by the skin. When David’s wife experienced menopausal sleepless nights, he researched and trialled another solution, launched in 2017 under the Paradise label, using exclusive tiny micro-coils, within temperate-controlling wool layers, allowing air to circulate. Keeping the body and bed cool and dry resulted in a noticeably more restful night – for everyone. 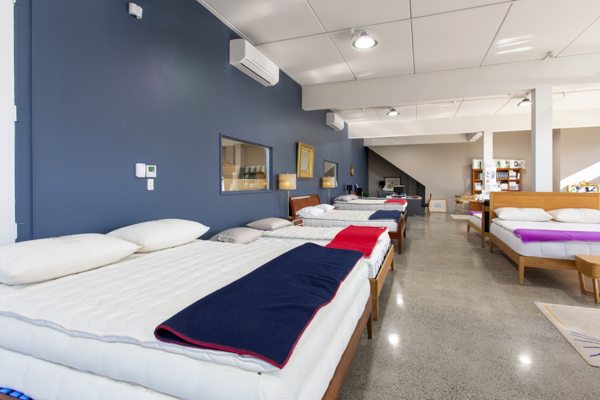 Visit Dreamwool Beds Ltd, 96 Disraeli Street, Sydenham, phone 03-343 5195 or visit www.dreamwool.co.nz.